What's New for the 2018 Honda Ridgeline? The 2018 Honda Ridgeline is the most recent vehicle to be added to the Honda company and their latest in the Ridgeline model line. 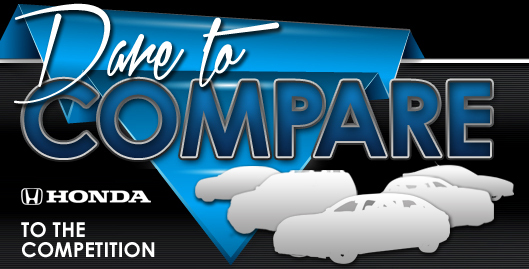 The 2018 Ridgeline is like others in its family line, a mid-sized truck but one of the most excellent ones of its kind that has been made for comfort and being versatile. The Ridgeline contains few new features for this year such as the removal of the RTS trim level, though the Sports trim the same. For the most part, this year's truck is pretty much the same as last year's. The 2018 Ridgeline is decked out with multiple trim levels, with each having their features. The Ridgeline comes in six different trim levels this year: the RT, Sport, RTL, RTL-T, RTL-E and the Black Edition. The RT trim is the basic trim model and contains necessary features like 18-inch alloy wheels, cruise control, air conditioning and a seven-speaker audio system. The Sports trim model is a slight upgrade and includes unique gray-painted alloy wheels, tailgate handles, keyless entry and tri-zone automatic climate control. The RTL trim adds leather seating, heated front seats, 8-way power adjustment settings for the driver's seat and heated outside mirrors for the all-wheel-drive versions. The RTL-T trim contains LED daytime running lights, a blind spot camera system, an 8-inch touchscreen with an audio system with navigation and Apple CarPlay access. The RTL-E trim includes more advanced safety gear such as adaptive cruise control, automatic emergency braking, a heated steering wheel, driver seat memory settings and LED cargo lights. The Black Edition is the most advanced trim and is the same as the RTL-E, but decorated with black paint, black wheels, a black headliner and red-accented black leather seats. The 2018 Honda Ridgeline is outfitted with an engine that is sturdy enough to handle its capabilities. The engine for a mid-sized truck has to accommodate its body, and as such, it can produce a 280 horsepower rating and run up to 6000 wheel revolutions per minute. It can also generate 262 feet by pounds of torque and can tow well up to 5,000 pounds of material. The engine has a 6-speed automatic transmission and an EPA of 21 combined miles per gallon, getting 18 mpg when riding through the city and 25 mpg when riding on the highway. 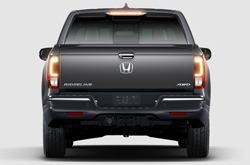 The Honda Ridgeline, like all vehicles, is expected to be safe and comes readily equipped with all sorts of unique safety features and protocols. For safety, the Ridgeline has been upgraded with more stability and traction control when driving. Child passengers are taken care of, with the inclusion of rear door safety locks and child seating anchors in place. Newer safety features include a remote anti-theft alarm system to prevent theft or vandalism from others. Daytime running lights are, of course, included as well as dusk-sensing headlights that can detect and readily adjust to the time of day. A tire pressure monitoring system is also in place to keep track of the tires should they be damaged at any time.